See attached picture. And it was actually still growing up. Is this normal? Unable to contact licensing server as well. I'm also having these problems, it's using all my memory and won't keep web protection on. Exactly the same here, I was watching Amazon Video, saw the video stutter too much for it to be an internet issue (since I have fibre - never under 50Mbps) and saw my insane 13GB RAM usage and killed MWBAM. Also after restarting Malwarebytes my web protection is turned off, I cannot turn it on, it just says "Starting". So at the moment I've completely disabled Malwarebytes to stop my computer lagging/crashing. My PC no longer functions because MBAM is using 90% of the RAM power. Web protection is also turned off and nothing I do turns it back on. Please fix this asap because I can no longer do my work now! My whole PC is jamming up! Yah, me too. Computer RA M completely consumed, so I rebooted. Only took five minutes, same situation again! Same problem. Almost took my computer to a point of a crash. 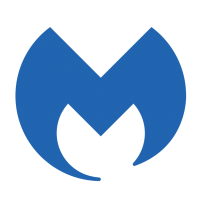 Restarting malwarebytes just does the same thing. My computer almost just crashed because of this issue, what is happening? My memory is at 100% usage. Can confirm you have a memory leak, and a bad one, i just restarted my pc and its slowly climbing and will not stop. I recommend everyone to completely kill the program until this is fixed, it wont stop taking up memory. Thanks for the replies. I am glad i am not alone :-) I would hazard a guess something is buggy out there. Uninstalled the thing for now until this gets fixed. I just created account for this. Both FF and Chrome browsers crashed, malwarebytes starting sucking up 12GB of RAM and turned off its web protection capability. Yep. I was wondering the same thing so I just uninstalled it until it's fixed. Just right click on the small icon on the right and press quit malwarebytes, this worked for me and it shut off completely. Same here cpu sky high!!!! web protection will not start!!!! what the %#*&@# is going on MB!!!!!! Nothings working will not start or stop cpu leak. Getting high RAM usage as well and I'm not able to enable Real-Time Protection. Just the usual for the company. Over the past 12 months they've had more issues with this product than all previous years combined. Same here, on two different PC's. No something just happened today, I never have any issues. A bad update or something is going on!!! !